Template 6.5/10: From BB scans the ID looks very washed out. The green coloring is almost non existent, and the heading is far too pink. 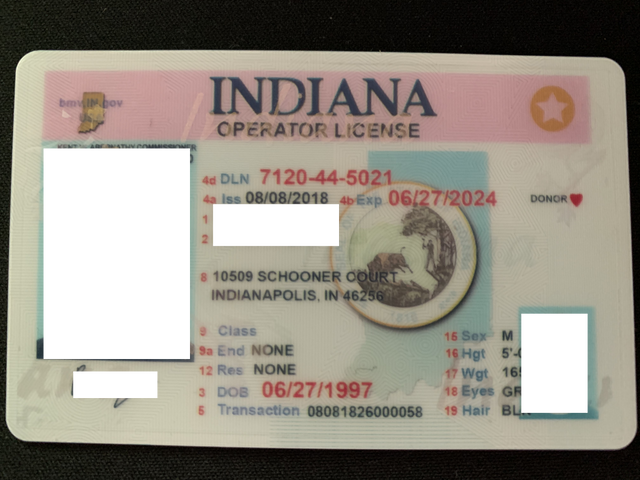 Indiana Font is the right blue tho, but the photo looks washed out too. The Bird on the back is perfect though, so im not sure where the coloring error came from. Otherwise the placement of everything looks very good. If there were to be 2 things to fix it would eb the main block color and the green in the center seal. 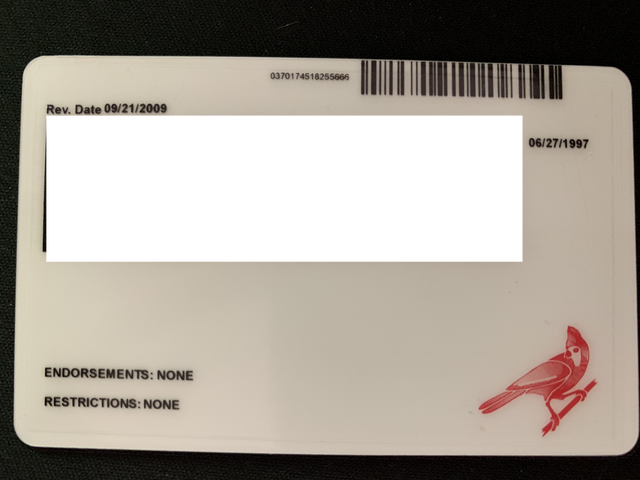 Holograms/OVI 10/10: Great Overlay looks spot on, probably the best part of this ID.